Again we’ve helped out a large food manufacturer specialising in the cakes and dessert industry. This time they required Mitsubishi PLC help with a Vibratory Feeder System for dispensing cake toppings on a newly installed conveyor line. 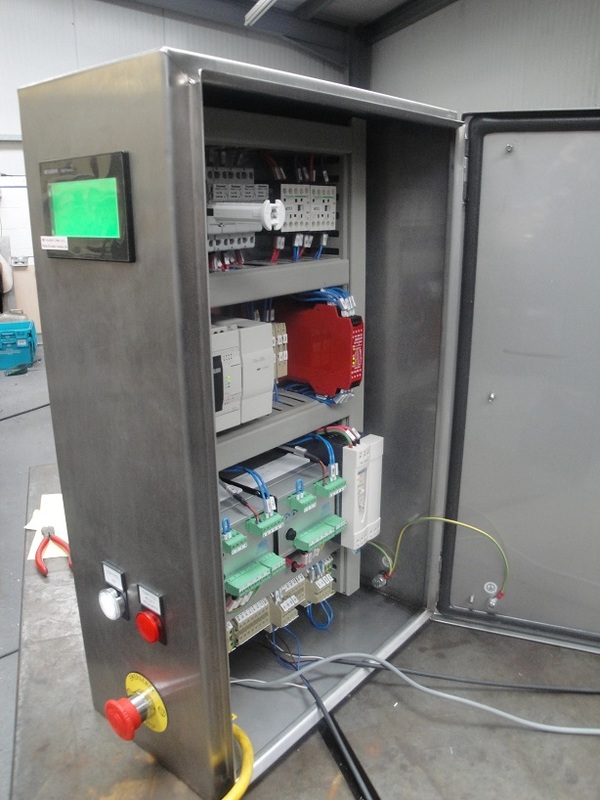 The location of the Control Panel was quite unusual and we worked closely with the customer to ensure that we designed and manufactured the panel so that it could be mounted ‘end on’ as required for the installation, whilst ensuring the panel was accessible for the operator to control the vibro feeder as required. The control was supplied using a Mitsubishi FX3G PLC and GOT 1000 HMI, hence the need for the Mitsubishi PLC help. 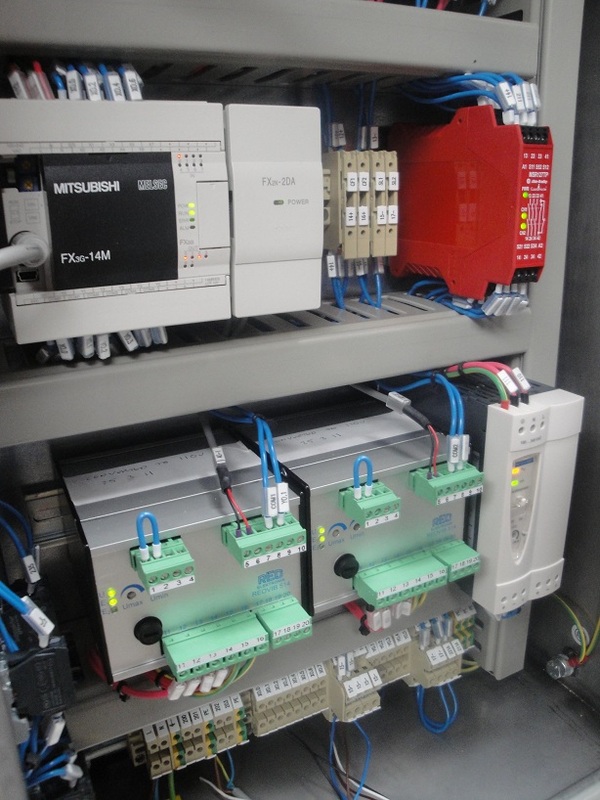 The vibratory feed controller modules that we fitted into the Control Panel were manufactured by REO and were REOVIB 514 type which we monitored and controlled from the PLC via a FX2N-2DA analogue out expansion card. 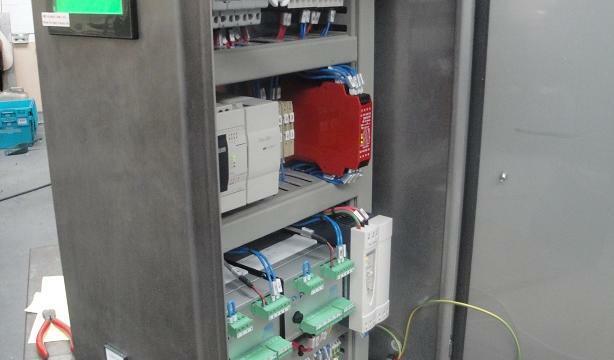 We successfully designed and manufactured the Mitsubishi PLC Control Panel and completed the required FAT or Factory Acceptance Test to ensure all requirements had been covered. The FAT helps to uncover any differences between the Controls Philosophy and actual operation of the Control System – a very worthy check indeed. If you need some Mitsubishi PLC help please don’t hesitate to contact us. We’ll happily provide some friendly advice and always get to know our customers requirements before recommending a suitable solution. Thanks for taking the time to read this post. Best wishes.